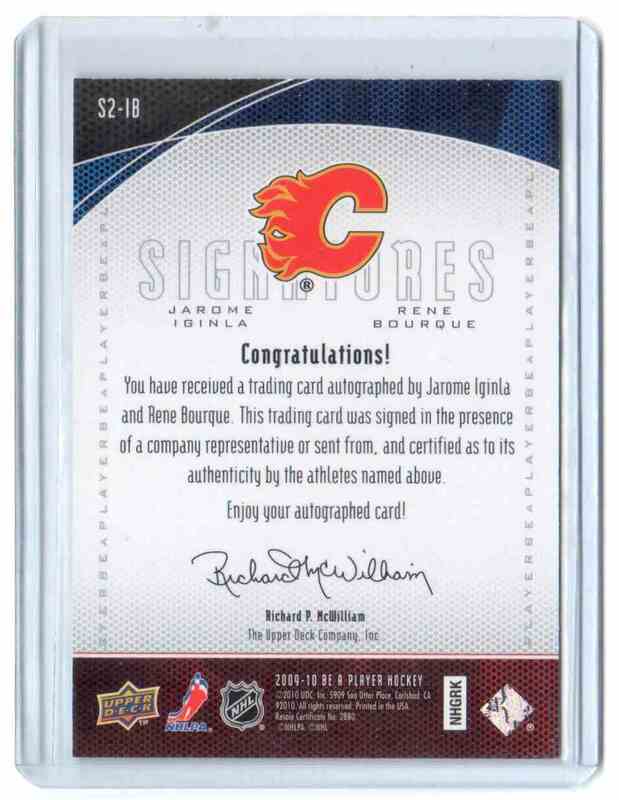 This is a autographed Hockey trading card of Jarome Iginla, Rene Bourque. 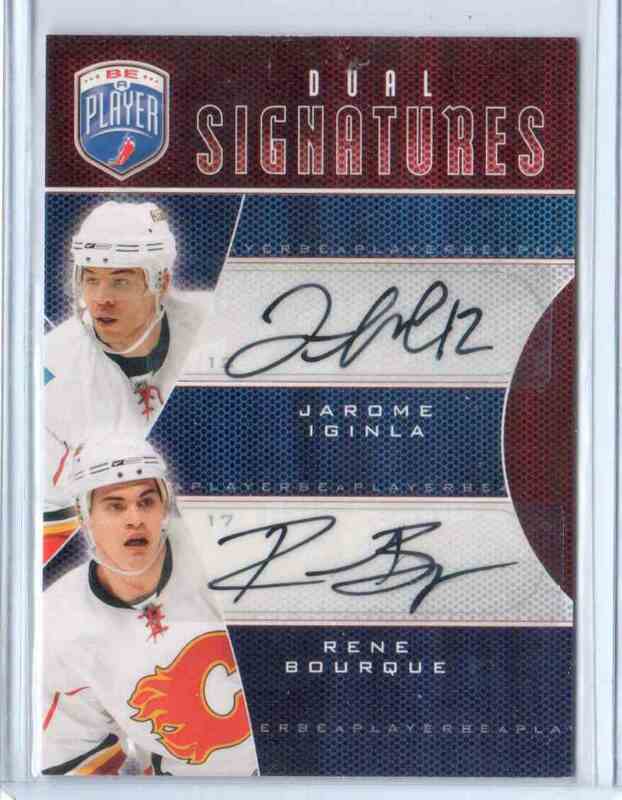 It comes from the 2009-10 Be A Player Signatures Duals set, card number S2-IB. It is for sale at a price of $ 7.95.